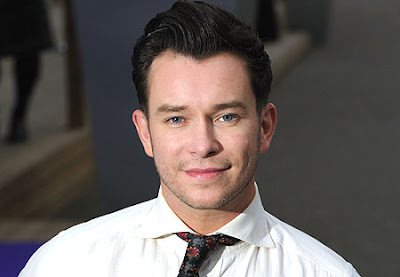 I can't say that Boyzone ever factored into my music collection, but I'm sad to hear of Stephen Gately passing away at the all-too-young age of 33. When I first moved to L.A. in 1999, Stephen Gately came out a month later. I used to buy Smash Hits on import at the Virgin Megastore on Sunset Blvd., and it was the tail-end days of Boyzone. Everyone was all atwitter over his relationship at the time with that guy from Dutch boy band Caught In The Act, who'd covered Rick Astley's "My Arms Keep Missing You" a few years earlier. Anyway, this year has just not been good for keeping people alive. Sad. I actually have a few Boyzone singles. Though most of their stuff was balladry they did have the occasional good remix single. And Gately himself had some nice mixes on his first three solo singles. The Jewels & Stone mix of "Bright Eyes" was my favorite of his. So tragic for his husband and family. To those saying it is impossible to die of natural causes at 33, that is nonsense. One of my friends dropped dead from a heart condition he didn't know he had, he was only 20 and seemed very fit and healthy. At this stage, nobody knows what happened, just seems like he died in his sleep. What exactly you're writing is a horrible mistake.